Od French pulley wheel hoist pendant. 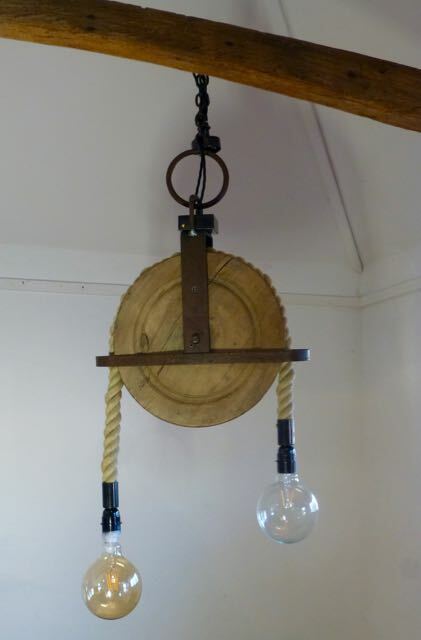 Description: Great looking old French pulley wheel hoist, re crafted into a pendant light. Just sold, may have others.